I am so excited about this wonderful technique called quantum jumping. This super amazing technique can be done several ways, and it can be super simple and easy or more complicated, depending on your intentions. I am creating meditation so you can experience how you can quickly change your frequency, effortlessly, just through tuning inward. You can use the meditations soon to be offered here, and then you will know how to do it. Then you can get creative and create meditions for yourself, exploring the inner landscape of you and all your parallel realities. I show you the super simple way of quantum jumping. What are the benefits? It changes your emotional balance to a higher level with less distress and more joy. This is of benefit to those who are going through emotional healing, or simply want to feel better. It doesn't require many years and the challenge of lots of emotional processing in the mind. It happens pretty quickly, and easily. It also raises your vibrational frequency. What does raising your vibrational frequency mean? Since we are made of energy and vibration, we can actually feel this energy, and feel our vibrational energy rise. Your frequency vibrates faster and on a higher level which is something energy sensitive beings have discovered. This raises your level of emotions toward joy. It raises your state of being toward enlightenment. There is more energy in the body and more lightness. It is how you shift your feelings, thoughts, and/or physical body to a higher level of well being. Frequency is could be seen as the "radio bandwidth" you are vibrating at in any given moment. Your parallel selves, which there are infinite possibilities of, are vibrating at different bandwidths and you can tune into those new bandwidths. You can also receive communication, as you meditate, with that parallel self that you desire to connect with. Imagine receiving a broadcast of words from them, in answers to your questions of them. This is where it really gets interesting! And it becomes practical as your twin self teaches you what you need to help your life be more fulfilling and successful. Now, Quantum Jumping effects the physical body too! Those with ailments have released them. I met a woman who used this simple technique that I describe below and she let go of chronic lifelong asthma and was healed. I know that it has helped many to release illness. Or simply, it can help you feel better in your body in the state of "total well-being" that you can jump to in your meditations. It takes doing the inner work, but learning the technique and getting started is something anyone can do whether they are an experienced meditator or not. It is more about suspending disbelief, the mind's thoughts about it, and letting go and practicing. You can use it to improve your body's flexibility and performance in sports or yoga or exercise. Maybe you are going through recovery from an operation, and Quantum Jumping will accelerate your healing if you practice. of that there are parallel realities and the work is based on this principle, but taking it into experiencing it for ourselves and applying it to our lives, to where we we want change, success and healing to occur. Be sure to bring the qualities of imagination and play with you. With this, all things are possible as you discover this new world that has been life changing for myself. It is as simple as breathing! In fact, you can use your breath as a way of shifting your feeling state to something better! Step One: Get in as state of relaxation, tune into your heart and a feeling of love. Tune into a feeling of happiness. Imagine a smile in your heart that spreads through your whole body. 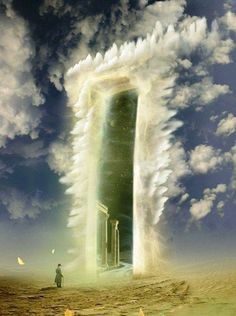 This is the beginning place for all Quantum Jumping, however the feeling of relaxation and going inward is the basic starting point however you get there. Step Two: Imagine stepping stones and then step to a place you want to go. This would be a feeling place. I love going to "Full connection to my higher self" or "Total well-being." Perhaps you want to experience "total relaxation?" There are many places to go, and you can make them up. invited to take another breath and as you release the breath, go to an even stronger version of that last place. That is all there is to it! Advanced Quantum Jumping involves meeting parallel versions of you that already have accomplished or are experiencing what you dream of! This is a way to develop new skills such as painting, playing music, dancing, having self-confidence, writing, having a successful business, being outgoing, receiving abundance, speaking to groups. The possibilities are endless for self-improvement and self-learning. That self exists within and is accessible through meditation. In sessions or workshops, I can help you find this parallel version of you. You can learn what that version knows and use it in your life. You also access the frequency of their success that for them (you) comes naturally. A parallel self is a version of you that simply made different life choices and ended up with different skills and talents and perspectives. You access the frequency of this self which you will help you to move toward experiencing what that self experiences already. That is why we call it Quantum Jumping as we move from timeline to timeline, in an infinite universe of potential selves. Is it real? It feels real to experience this within our meditations and it has the power to allow us to download knowing that helps us. That is all we need to know even if we don't really know how to explain how it actually works. It is more experimenting and experiencing this technique that will allow you to know what it is. After doing sessions with others, this technique is accessible in one session. Now sessions are available in Quantum Jumping. Let me know if you are interested in trying it out. Read a blog on Quantum Jumping about meeting the twin self - The Magic Inside of Us. Stay tuned for meditations, opportunities for sessions, and workshops in Quantum Jumping as well as more information.